Grand Stade Adrar Agadir was designed to form part of Morocco’s bid for the 2010 World Cup. Early construction works kicked off in 2003, but works progressed slowly and stalled when South Africa got awarded the World Cup instead of Morocco. It took until 2007 for works to recommence, after which the stadium was scheduled to open in late 2009. While most of the stands had been built by 2009, works stopped again due to financial difficulties and only progressed slowly in the next years. 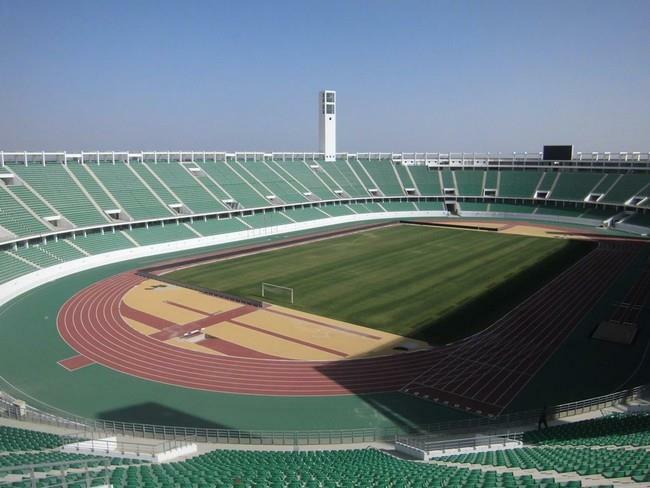 Grand Stade Agadir was finally completed in early 2013 and officially opened on 11 October 2013 with a match between Hassania and Algerian side Kabylie. The stadium was selected as one of the two playing venues of the 2013 FIFA Club World Cup, along with Grand Stade de Marrakech, and hosted the two quarter final matches and the semi-final between Bayern and Guangzhou Evergrande. 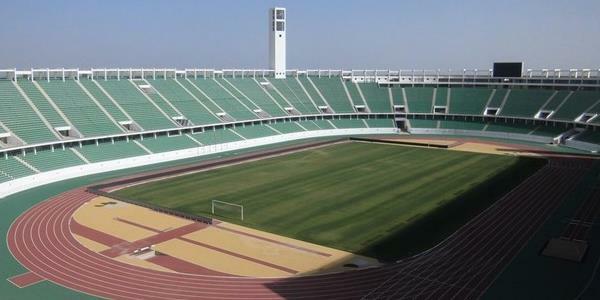 Grand Stade Adrar Agadir is located on the eastern edge of the city at the foot of the Atlas mountain range. It lies about 6 kilometres from Agadir’s centre and beachfront. Grand Stade Agadir lies in a rather bare area just outside the urban city limits. There is little around apart from a go-kart racing track, and eating and drinking is therefore better done in Agadir’s beach area. While there are a few hotels or apartments reasonably (but not very) close to Grand Stade Agadir, it might be a better idea to make more of your stay and find a hotel closer to central Agadir and the beach area. Click here to explore the many options. Husafootball.com – Official website of Hassania Union Sport d’Agadir. Visitagadir.com – Agadir tourist information.